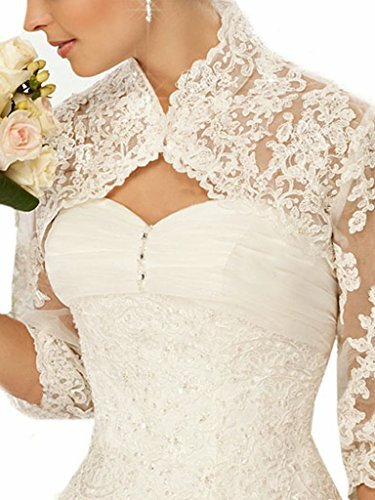 Snowskite Women's 3/4 Sleeves Lace Bridal Gown Wedding Jacket,size range from 2 to 18,we can accept custom,But please tell us Your Bust,Wasit and sleeves length size,custom made price will be slight different from regular size. Please refer to our Size Chart displayed next to the main item images.Do Not Use "Sizing Info" Link. If you are not sure about your size, Please tell us your Bust size,Wasit size and sleeves length, We can custom made. If you need it expedited, please contact us by e-mail,we will give priority to arrange as soon as possible!